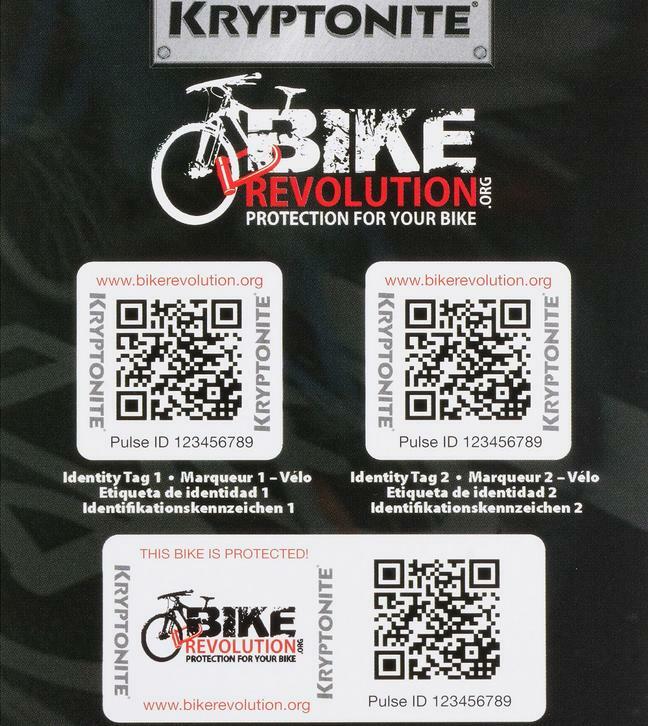 QR codes, the 21st Century equivalent of junk mail and alleged precursor to dystopia, have finally found a use for the greater good - tracking and finding stolen bikes. Kryptonite and BikeShepherd.org have joined forces to make local police bike registration programs obsolete. For around $15 you can purchase these tamper-proof stickers with a unique PULSE ID number. Your bike is linked to that number through registration at BikeShepherd.org. If your bike is stolen, list it as such to the website. 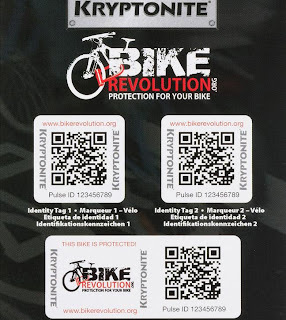 Meanwhile, savvy smartphone users who see a suspicious bike tagged with a PULSE ID tag can use their phone to scan the code. The webpage will tell them if that bike is reported stolen. If it is, they click the CONTACT US button and provide the location details. Alerts will go out to the police, local clubs, shops and an army of self proclaimed Bike Detectives. A glance at the stolen bike map shows only a couple of outstanding bike thefts in the City of Philadelphia, a fraction of the estimated 4,000 to 10,000 bikes stolen in the City annually. Imagine if 10% of the bikes out there were tied into this system - that could have a big deterrent effect and greatly increase chances for recovery. Ideally the bicycle industry and Federal Government would create a VIN system to track bicycles like motor vehicles. Perhaps Pulse ID will jumpstart progress towards a national bicycle tracking system. A list of online locations and stores that sell PULSE ID is located here. Kryptonite claims that PULSE ID is available at select dealers. Locally it only lists REI has having them available in store, but check with your local bike shops to see if they have them in stock. In the meantime you can help us combat bicycle theft by voting for the release of Reported Bike Thefts in the Open Data Race.